A BIG THANK YOU to all who came along on this weekend, the weekends we do are as great as the people who come on them!!! The weekend started of with the early bird workshop. This is where we re-capped the latest dances taught in class. The dances coverd were Ritmo, Walk Alone, Perfect Timing, love Zone and Timber. On the Friday Night we had a BLUE theme. The dancing started just after 8pm and we didn't finish until the early hours of the morning!!! Great start to the weekend and great atmosphere!!! We then had a free afternoon, where you went off and enjoy the beautiful weather, plus explored the hotel and it's grounds. The Langstone Cliff is just a beautiful place! Saturday night was PARTY NIGHT!! We had a theme which was MUSICAL'S. Everybody looked amazing. Every year the standard of the costumes and the effort that goes into them just gets better and better. Please check out the Gallery and our facebook page to have a look at some of the great photo's. (This will be added shortly!). One of my highlights of the weekend was when we were all eating our evening meal and in the back ground, we had a playlist playing music from Musicals to set the mood, then all of a sudden everyone broke out in to song!!!!! (BRILLIANT). Bubbling just underneath is Timber. 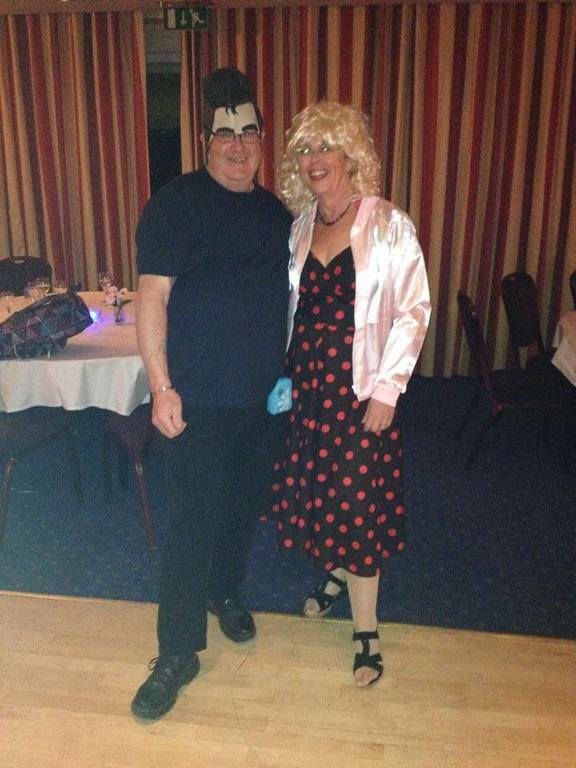 Terry Barnfield & Ursula Clifford (Grease) who came third in the Fancy Dress. 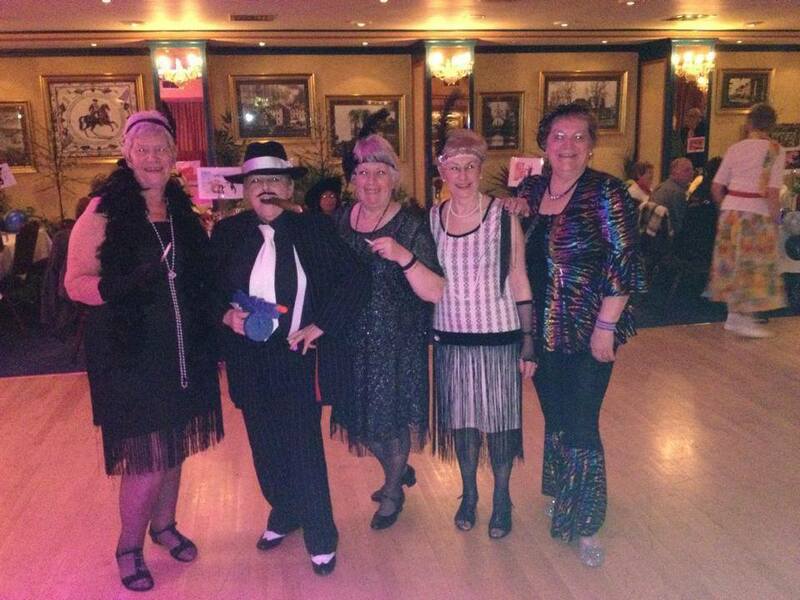 Lynda Cobern, Rose Gardner, Sue Holder, Carol Rees and Barbara Arnold (Bugsy Malone) who came 2nd in the Fancy Dress. 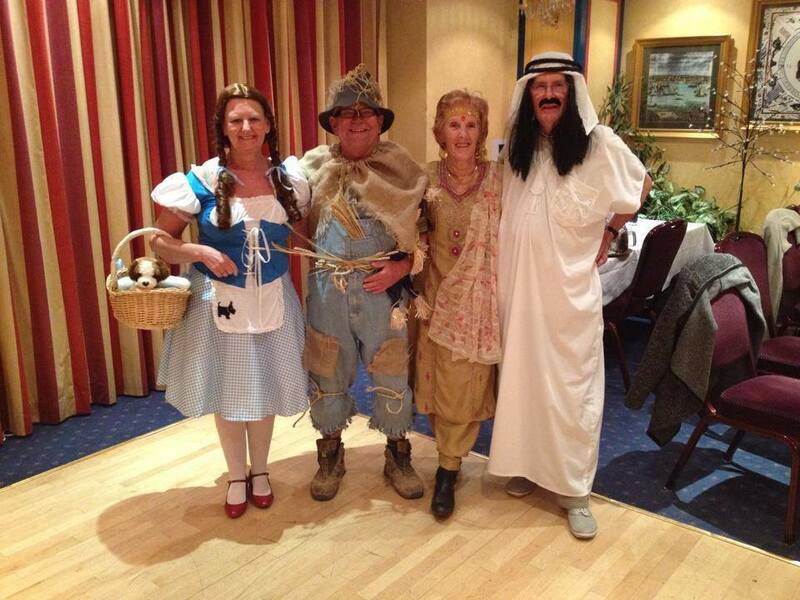 Denise & Dave (Wizard of OZ) who came first in the Fancy Dress. Lisa Holder who won the Irish Bingo!!! The Grease table (Sarah Higgins, June Ingles, Claire Hawkins, Jill Mills, Patti Jones, Margaret Copper, Kevin Barter and Terry Evans) who won the Musical's Quiz. Getting every question right!!!! The weekend went by so fast but we still had the engery left on Sunday morning to complete the workshop. We taught Maggie's new dance Eye to Eye plus re-capped all the others from Saturdays workshop. It all finished at 1pm and sadly we all had to say goodbye!! It truely was a brilliant weekend and I thank you all for the really nice messages you have sent. NOW ...... If you have not been on one of our weekends and fancy coming along to take part in all this fun, get a move on. We have nearly sold out of the weekend in November that is also at The Langstone Cliff!!! Please check out the Holidays tab for other holidays that may be of interest. AGAIN .... BIG THANKS to all who came on this weekend.